Years ago, after posting on this site for a year and a half, an email from future HzandBits sound library owner and A Sound Effect podcast co-host Christian Hagelskjær From inspired me to do something I hadn’t previously considered: to write a book about field recording. That summer, I locked myself in a room and wrote. The result was a book called Creative Field Recording. It shared ideas on how to ensnare creativity and embed it in field recordings. It described tips and tricks to recapture creativity, inspire motivation, and apply it to capturing sound clips beyond the studio. He was right. I shelved that draft, and began to write what would be my first book, Field Recording: From Research to Wrap. I didn’t realize it until years later, but that experience reflected what I would come to understand is a significant – and perhaps hazardous – disposition among field recordists: severing the intertwined field recording skills of technical aptitude and creative expression. Technical expertise is rigidly defined. Tech specs and gear govern whether a performance arrives successfully on our recorders or not. It’s not the same with creativity. That’s much more difficult to apply. A lot has been written about how to spark creativity in the arts. Field recording is no different. Yet, a silver bullet that provides creative expression on demand within the technical demands of the craft remains elusive. That’s one reason why Creative Field Recording remains on the shelf. I wasn’t satisfied with the result. I’ve thought a lot about that idea since I retired the draft. I’ve worked to include creativity in the sound effects I myself capture in the field. I won’t pretend I have the complete answer. However, I have made some headway I’d like to share with you today. Today’s post describes ideas that have been rattling around in my head since that day: why creativity is essential to field recording, the challenge of bringing it to sessions in the field, and concrete tips you can use to sharing inspiring sound effects yourself. This is part one of a three-part series. Today we’ll look at the idea behind emotional sound effects and how to capture them through field recordings. Over the next two weeks we’ll see how you can do the same while mastering and curating sound effects. Field recording is a relatively young craft. Other arts have had the benefit of centuries of practice, experimentation, and discussion. That’s helped painting, sculpture, and even performing arts like theatre and dance become refined. That has established best practices and common approaches. Tricks and tips are widely shared. The best tools for each art have solidified. It’s not the same for field recording. If you think about it, mass adoption of the craft really only arrived after portable recorders became widespread in the last decade. This has an immense impact on field recording itself. How can you tell? If you do a basic Web search for field recording, you’ll notice most pages talk about equipment. Ranking second are stories about field recording missions. Both of these are explored in depth. However, it’s difficult to find comprehensive discussions about the role creativity plays in field recording. Ideas for applying it are similarly rare. Why is this? Part of the reason is because of the requirements of the craft itself. First among them is one unavoidable fact: to capture sound effects with any amount of reasonable fidelity, the craft of field recording demands highly sophisticated equipment. This creates an unintentional imbalance: currently, field recording is primarily defined by the equipment used to accomplish it. This is natural, of course. To even begin recording sound clips, a field recordist needs to know how to choose, assemble, and operate delicate, complex gear. It’s why field recordists love unboxing new equipment, playing with it, and why they ravenously upgrade their kit. It’s also why gear questions are some of the most common ones I receive. It’s the reason myself and 49 community pros created the Month of Field Recordists series about their equipment (series 2015, series 2016). Exploring new gear is fun and fascinating. Let’s not forget that it is incredibly satisfying to successfully ensnare an elusive sound on our recorders. There is a strong sense of achievement tied to technical success. Now, there’s absolutely nothing wrong with this. I personally love field recording gear. I have my own wish-list of dream gear I’d like to collect. And when I capture tricky sound effects like fighter jets or howitzers well, I feel like I’ve reached a new plateau of field recording skill. I’m not alone. It’s a common theme among community field recording blogs. You can see it in the independent sound library release pages. Capturing field recordings technically well is rewarding not just for the sounds we collect; it’s especially important simply because no one has really defined how to record tanks, cracking ice floes, or spectrophotometer lab equipment. At least, not with the same depth as the hundreds of books that describe Impressionist painting styles. So, when a field recordist captures a tricky sound effect technically well, the success feels like they are pioneering entirely new ground. Those feelings of accomplishment are addictive, and lead to a dangerous imbalance: the technical demands of field recording risk overshadowing every other aspect of the craft. How is this obvious? How can a field recordist tell if technical fetishism is creeping into their craft? It’s pretty easy, actually. Every field recordist can take a step back and look at their practice. When planning a field recording mission, are you assembling a checklist of the gear you’ll use before you’ve exhaustively considered the articulation, performance, and perspective of each sound? Have you released a sound library with the gear you used listed at the top of the page, before you describe the sonic quality of library itself? Those are clear hints of an imbalance beginning. Of course, none of this is wrong per se. Equipment is necessary to capture field recordings, after all. It’s natural to enjoy gear. There is, however, an opportunity for all field recordists to grow in their own craft. How can this be done? I sometimes think about field recording in terms of Abraham Maslow’s hierarchy of needs. 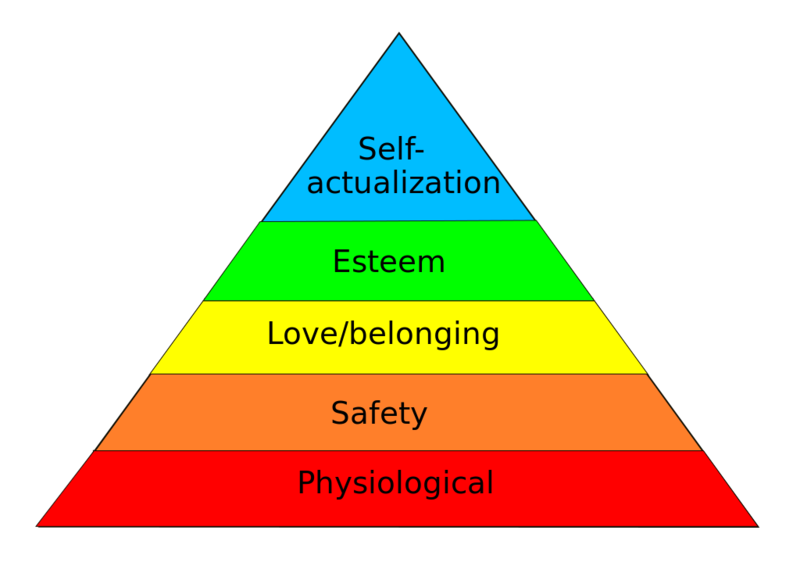 That’s a psychological theory that suggests that people need their basic needs satisfied (e.g., safety) before they have other, more complex needs met (e.g., self-actualization). In other words, when people are sure they won’t be mugged every day they will have the mental room to start thinking about the person they want to be. That’s how field recording is similar. Every field recordist needs technical gear and the aptitude to use it. That trait would be at the base of the pyramid. Once that’s accomplished, a field recordist can begin to explore the craft in other ways. 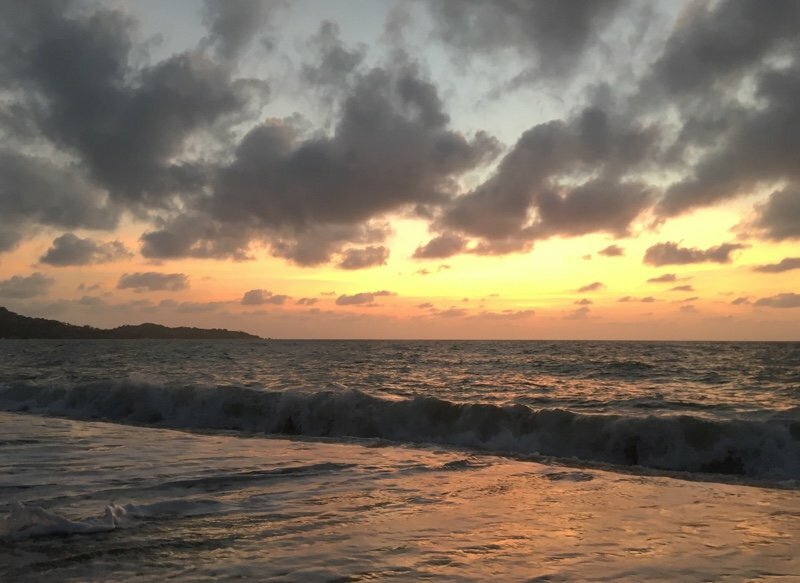 For a few years I’ve been working on a post called The 7 Steps of Field Recording that splits the craft into seven graduated levels of increasing creative accomplishment. I’ll share that post some time in the future. For now, the idea is that technical skill and aptitude is only sufficient. To excel, to create memorable, useful, and remarkable sound effects, much more is required. Now, just to be clear, I’m not saying sound effects recorded technically well are bad. The point is that the idea creates room for each field recordist – and the craft itself – to grow. Another way to think about it is to record sound effects with personality or character. The idea is for each field recordist to actively search for the expressiveness in each ambience and specific clip, and highlight it. The very best sounds lock in the personality of the field recordist themselves in what I call their imprint. In other words, rather than passively watching that a sound is captured with healthy levels and writes properly to a hard drive, a field recordist has an opportunity to focus on unique or interesting aspects of the sound and pluck them from the environment, or add them to the take themselves. That may sound simple. However, it’s actually counter-intuitive when you consider that field recordings need to be recorded technically, first. After all, it’s not natural to think about the personality of a river when you’re trying to figure out why there’s a line buzz in your track. That’s why I mentioned the pyramid, earlier. Adding character to field recordings needs to have the technical aspects solved before anything else is explored. Why would you even bother adding character to your sound effects? Shouldn’t it be enough to simply record clips technically well, then drop them into your projects? That is true. Capturing field recordings technically well is never wrong. Those clips will work in films and games very well. But, while a technical fit makes a sound effect work, an emotional fit makes it sing. Why? Creative investment. Nobody likes working with boring sound effects. Every editor likes finding a sound clip they think is cool, as well as technically suitable. Sure, the clip needs to be the correct resolution. It must not be distorted or too quiet. It needs to be the proper type of sound. However, clips that have interesting characteristics in addition to the good tech specs invests a sound pro in the project. Working with cool sound effects is inspiring and fun. That creates a better end-product, too. Sound selection. Field recordings are useless if they are never heard. That’s why sound selection on websites and in metadata apps is so important. 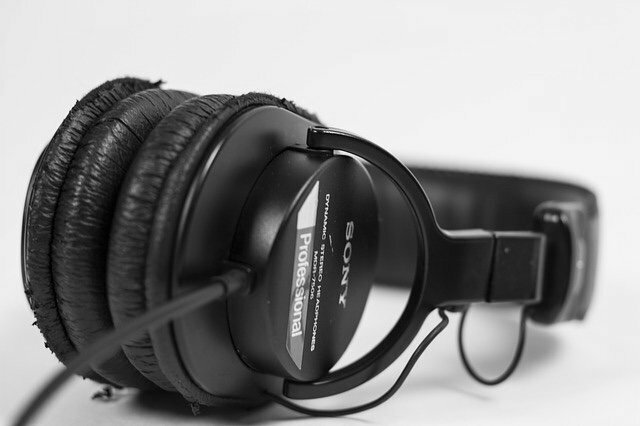 Sound effects that are mastered and curated well ensure that they are chosen, used, and heard. Which sounds rise to the top? Well, often the people using these sounds are creative professionals. Of course, they choose technically suitable clips. In addition, they tend to gravitate toward sound clips that offer more. They choose sounds based on emotion. Field recordings captured with character allow pros to select inspiring sound that gives them the tools to sculpt inspiring soundtracks. Listener excitement. Fresh ingredients make better meals. In the same way, sound effects captured with feeling will transfer that emotion to the project you are working on. Directors and producers in film and theatre especially relate to these – they are sensitive to the emotion of the recordings you contribute and that will participate and enhance the feeling of the final product. What’s more, characteristic sound effects cause an emotional response in the listener. This is the Holy Grail of modern creative expression: to gather the emotion created by the craftsperson, transfer it through a technical medium, and cause a listener elsewhere to feel. An empty craft. Boring sound effects help contribute to an empty art. If all anyone needed was technically sufficient clips, a robot could be a field recordist: place the microphones, monitor the levels, and punch in. This isn’t hyperbole, either. MixAssist and similar technologies already attenuate levels automatically. What is in store for field recording in the future? To make the craft grow, a deeper investment is required. The short answer? Technical sound fills a need. Characteristic field recordings make us feel. So that’s the idea, anyway. Is it too abstract? Some people may want to simply fetch cool sounds and use them. So, it’s possible that this all seems too theoretical. After all, can a door sound clip translate feeling? Can it be emotional? How can a field recordist supply these emotional field recordings? There are other questions: How can you apply creativity when you’re stuck? How can you perform sound effects to create an emotional response? How can you inspire sound effect selections? I’ll be blunt: it’s not easy. As I mentioned, I don’t have the full answer. It’s complicated by the nature of creativity itself: it’s different for everyone. What one person thinks is inspiring will bore someone else. That is why the following suggestions are essentially “hacks.” They’re cheats to inspire creativity. They’re ideas you can explore to find your own personal source of inspiration. 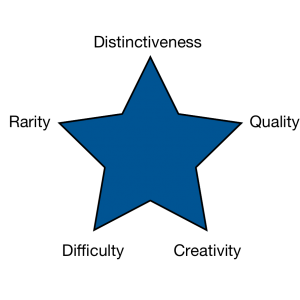 A few years ago I wrote about using the Sound Effects Star to transform standard field recordings into exceptional ones. I’ve modified it a bit since then. The idea is that by using each additional quality from the tip of a five-pointed star, a field recordist can increase the character and value of a sound effect. Difficulty. Is a sound hard to access? Is it challenging to capture? Perhaps it is tricky to isolate the sound on its own. Maybe the subject itself makes gathering the sound hard, such as baby or an animal. Rarity. Is the sound rare or unique? Those clips are always more interesting. Quality. 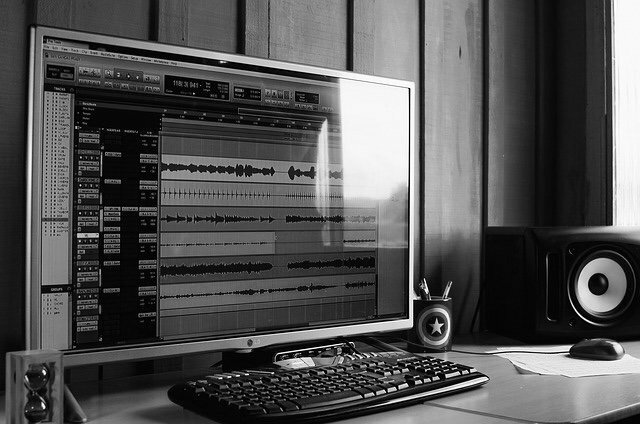 Better fidelity, microphone selection, mastering, and curation enhance a sound’s quality. Distinctiveness. Is the clip recorded in a new way? Perhaps a field recording uses an unconventional microphone. Maybe a sound is recorded from a novel perspective or location. Creativity. Naturally expressive subjects (e.g., baboon howling) and inspired performances (e.g., torturing a motor to create novel sounds) contribute character with little additional work. The first three are objective qualities that enhance sound effects. They’ll add interesting elements to a field recording in a technical way. The last two are the most helpful for us. They call upon a field recordist’s craft and insight to embed inspiring sonic character in a sound. Overall, the Sound Effects Star invokes adaptation in the field recordist. That almost always leads to capturing clips with personality. Read an article about the Sound Effects Star. Remember the field recording robot we met earlier? What can a field recordist do to differentiate themselves from robotic, technical sound recordings and embed emotion in a clip instead? It’s pretty easy if you’re in a Foley room bashing metal or breaking wood. What about when you’re capturing clips like ambiences or a fireworks display? You’ll have little control over the sonic character in those clips, right? Not so. A field recordist has a great amount of impact on even these passive sessions. How? Pick-up pattern. Modifying the recorder or microphone settings to highlight personality. Patience. Waiting out dull sounds and responding to remarkable ones. Position. Re-locating to enhance sonic qualities, and using the environment to obscure others. Perspective. Using personal insight to narrow in on interesting sounds. This includes an idea I call projection, the concept of imagining a performance and mimicking it, or characterizing a sound by the emotion it evokes in others, and emphasizing that. One way to think about this is to imagine what a character in a film, play, or video game is feeling. For example, imagine you’re on location recording doors. Try to match your performance to a character in a movie. Are you opening the door cautiously because there may be a zombie behind it? Are you yanking it open because you’re desperate to see someone or discover something? What about sounds you don’t control? Imagine the threatening aspect of a booming castle door slam as the guards close it for the night. Then use your microphone choice, positioning, and pick-up pattern to highlight that sound. The 4 P’s are an important way to use imagination to create emotion in field recordings. Read an article about the 4 P’s. The previous two methods employ existing tools you find on location, then use adaptation and leverage imagination to enhance something that already exists. This is easy when you are actually working on a film or commercial and have to recreate an emotion: you just match the prop action with what is on screen. What if you don’t have a project you can reference? Actors are good at invoking emotions out of nothing. What can field recordists do? After all, sometimes we’re uninspired, or not in the mood. How can field recordists access their emotional vocabulary to jump from being a gear operator to acting enraged or sneaky as soon as we press record? In these situations, use an emotional cheat sheet. Here are two. 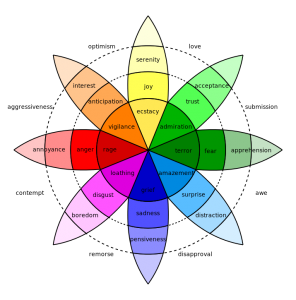 The centre of the wheel has the most intense, fundamental emotions. More nuanced feelings occur as we move away from the centre. Related emotions are grouped within the same tinge. Contrasting emotions are on the opposite side of the wheel. Dr. Willcox created this wheel to help grow a person’s emotional vocabulary. It’s used to identify specific feelings so they can be addressed or resolved. We’re going to hijack it for field recording purposes. How? It’s easy. Simply pick an emotion and perform a prop in that manner. Imagine closing a door as if you were bored for the first take. Then using the other side of the wheel, you try a second take playfully. 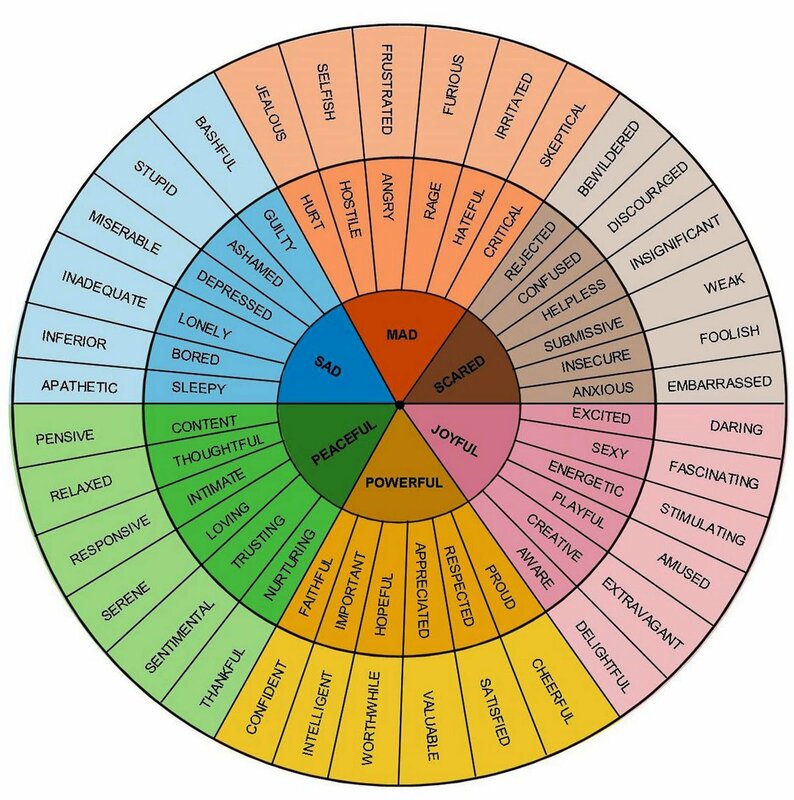 Naturally, the wheel deals with emotions, so some words aren’t appropriate for every prop. Just the same, the wheel can easily inspire 20 performances when matched with the proper sound subject. That image uses fewer, more accessible terms. Let’s imagine using it for a sound effect we can’t control: a car race. Seek out a recording that highlights anticipation. That’s easy, go to the starting line or the pits. The engines will tremble impatiently. What about its opposite, surprise? 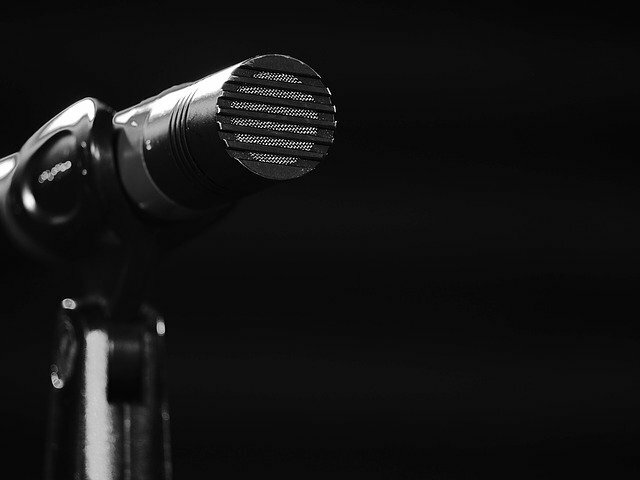 Aim your microphone around a sharp bend. The cars will pop into the sound field with energy, easily recreating that emotion. I have both images stored on my mobile. I peek at them when I think I’ve captured all performances. They always inspire me to capture a few more field recordings in new ways. This tip uses raw creativity to craft emotion into your field recordings. As field recordists, we are at a delicate time. As field recording becomes more accessible, a technical perspective of recording sound risks dominating all other aspects of the craft. 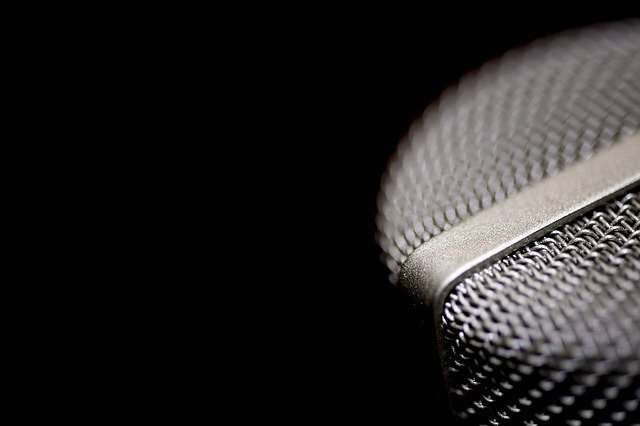 It is vital to add nuance, character, and emotion to sound recordings to capture the feeling we experience on location and lock it into clips so it will be revealed to listeners, later. Use the tools of adaptation, imagination, and creativity to search for this. In the end, though, the goal is to eventually stop thinking about gear at all. Is this unrealistic? Not at all. The ideal is to get a place where you consider equipment the same way Picasso thought about paint brushes. He created dramatic paintings that challenged the way people thought and feel. It’s unlikely that he put much thought into his tools at all. And now? People today talk about what his creations mean, and how they impact the world. There will be a time when field recording will be discussed similarly. It will be referred to not in terms of tools, but by the impact sound transmits. Can you contribute to this with the sound effects you capture? Aim for that goal. Ensnare emotion. This will help you grow your own field recording craft and share it with others. The result? The craftwork of field recording will expand. And through it, listeners everywhere will find new appreciation for the audio you gather and share with the world. Next: tips for embedding emotion when mastering sound effects.